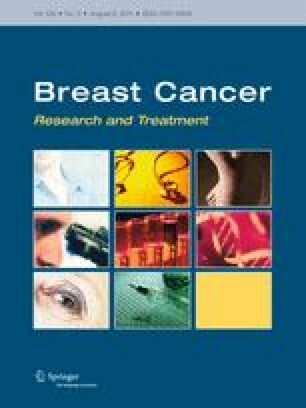 Transforming growth factor-β (TGF-β) has opposing roles in breast cancer progression by acting as a tumor suppressor in the initial phase, but stimulating invasion and metastasis at later stages. In contrast to the mechanisms by which TGF-β induces growth arrest, the pathways that mediate tumor invasion are not well understood. Here, we describe a TGF-β-dependent invasion assay system consisting of spheroids of MCF10A1 normal breast epithelial cells (M1) and RAS-transformed (pre-)malignant derivatives (M2 and M4) embedded in collagen gels. 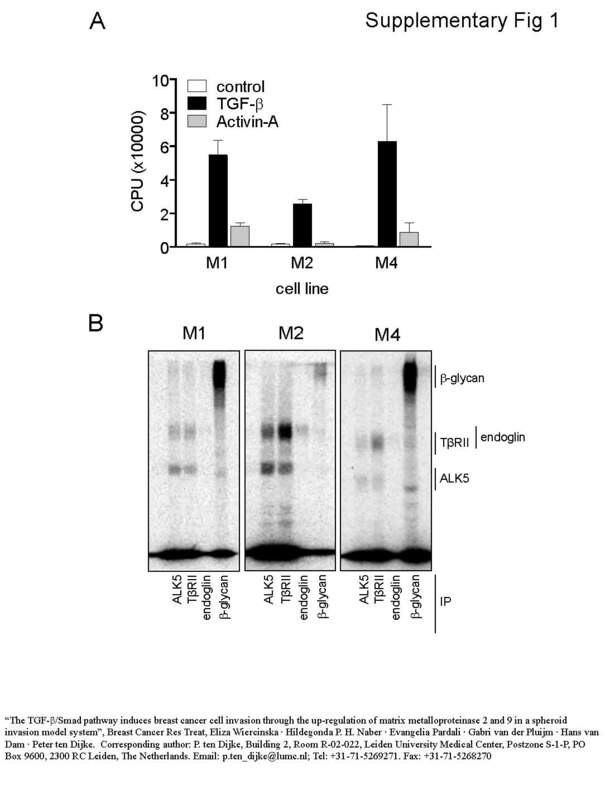 Both basal and TGF-β-induced invasion of these cell lines was found to correlate with their tumorigenic potential; M4 showing the most aggressive behavior and M1 showing the least. Basal invasion was strongly inhibited by the TGF-β receptor kinase inhibitor SB-431542, indicating the involvement of autocrine TGF-β or TGF-β-like activity. TGF-β-induced invasion in premalignant M2 and highly malignant M4 cells was also inhibited upon specific knockdown of Smad3 or Smad4. Interestingly, both a broad spectrum matrix metalloproteinase (MMP) inhibitor and a selective MMP2 and MMP9 inhibitor mitigated TGF-β-induced invasion of M4 cells, while leaving basal invasion intact. In line with this, TGF-β was found to strongly induce MMP2 and MMP9 expression in a Smad3- and Smad4-dependent manner. This collagen-embedded spheroid system therefore offers a valuable screening model for TGF-β/Smad- and MMP2- and MMP9-dependent breast cancer invasion. Eliza Wiercinska, Hildegonda P. H. Naber authors contributed equally. The online version of this article (doi: 10.1007/s10549-010-1147-x) contains supplementary material, which is available to authorized users. We thank our colleagues, in particular Lukas Hawinkels, for valuable discussion and help during experiments. We are grateful to Niek Henriquez, Petra van Overveld, and Geertje van der Horst for their help to set up the invasion assay. We thank Ed Leof (Mayo Clinic, Minnesota, USA) and Ken Iwata (OSI Pharmaceuticals, New York, USA), for reagents; Fred Miller (Barbara Ann Karmanos Cancer Institute, Detroit, USA) for the cell lines. This study was supported by the Dutch Cancer Society (RUL 2005-3371), European Union Framework 6 grant BRECOSM (5032240) and Tumor Host Genomics (518198), Centre for Biomedical Genetics, Swedish Cancerfonden (09 0773), and Ludwig Institute for Cancer Research.